Pretesh Singh (centre), the dealer principal at Hino Pietermaritzburg, is flanked by his service manager, Siya Nzimande, and parts manager, Nathaniel Balliram, as they proudly display the awards received for winning the commercial vehicle category in the NADA/Sewells-MSXI Business of the Year contest. 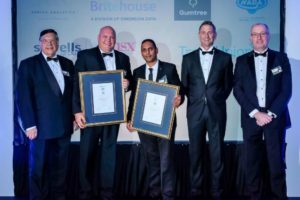 Congratulations to Hino Pietermaritzburg, a member of the Bidvest McCarthy Group, on hitting top spot in the category for commercial vehicle dealers in the 2017 NADA/Sewells-MSXI Business of the Year Awards (BOTY). All dealers that submit their financial statements to Sewells-MSXI each month to qualify to participate in seven categories in an annual contest and are ranked in equal-sized groups according to the value of their operational assets. 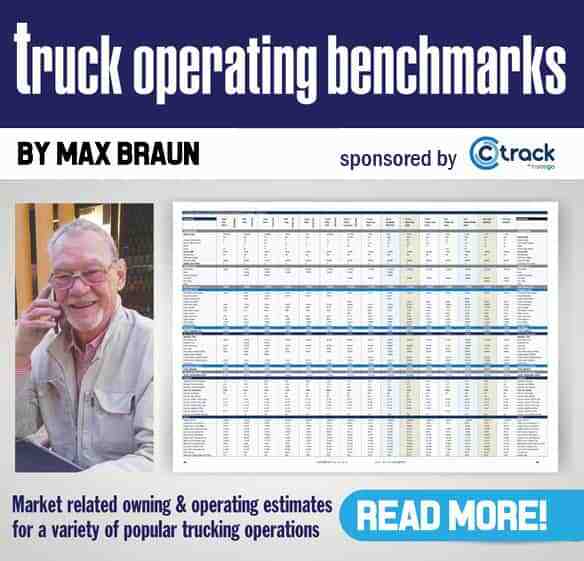 They are then ranked from highest to lowest using Return on Average Assets (ROAA) percentages without repeating any of the previous vehicle brands. 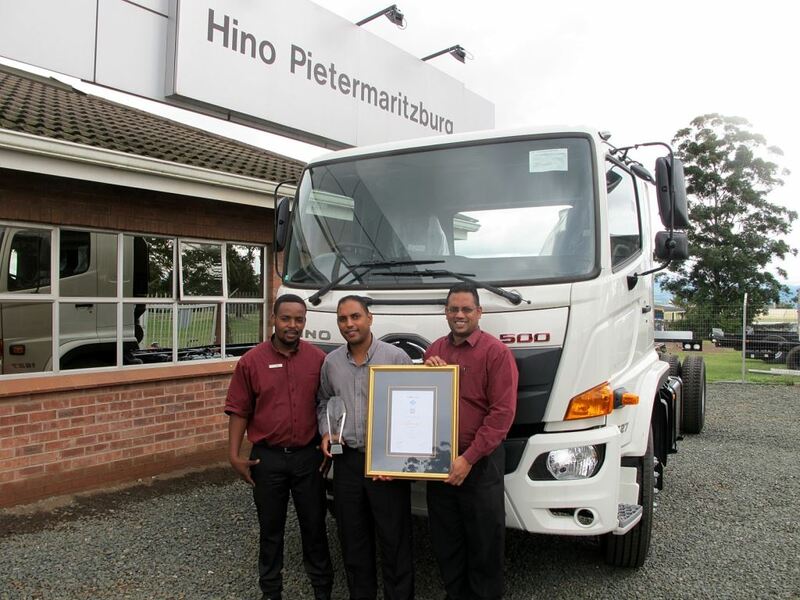 Pretesh Singh, the dealer principal of Hino Pietermaritzburg, was thrilled at this achievement saying it was one of the dealership’s goals for the past three years. The Commercial Vehicle Dealership finalists at the recent award ceremony at the Kyalami Conference Centre. They are, from left: Flip Wilken, from Wilken Communication Management, one of the sponsors; John Els, dealer principal of Tavcor Commercial Vehicles, the runner-up; Pretesh Singh, dealer principal of Hino Pietermaritzburg, the winner; Bruce Allen, former chairman of the National Automobile Dealers’ Association; and Lindon Hett, market leader of Middle East and Africa for Sewells-MSXI. “We’ve been the winner of the Hino Dealer of the Year award in the internal Bidvest McCarthy competition since 2014 and now that we have won BOTY, our sights are set firmly on winning the national Hino Dealer of the Year title,” he says. 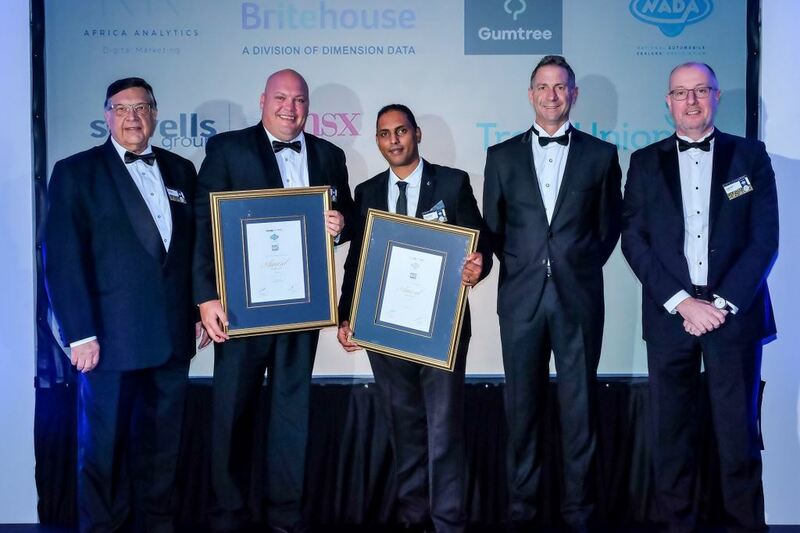 Singh says that participation in the Sewells-MSXI monthly financial performance analysis is an important aspect of his dealer management programme. He also attends the quarterly Sewells-MSXI meetings in KwaZulu-Natal and says these information-sharing get-togethers are also very fruitful. 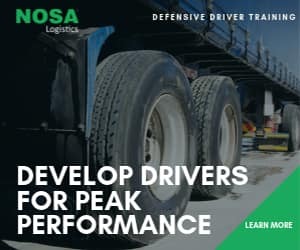 “We benefit from being a member of the Bidvest McCarthy Group in terms of training and support while Hino South Africa’s management team has a number of very effective dealer management and development programmes that are extremely helpful. “These initiatives are driven by the global Hino Total Support programme which is proving highly successful as it focuses on building strong relationships between Hino Japan, Hino South Africa, its dealers, suppliers and thousands of customers,” explains Singh. 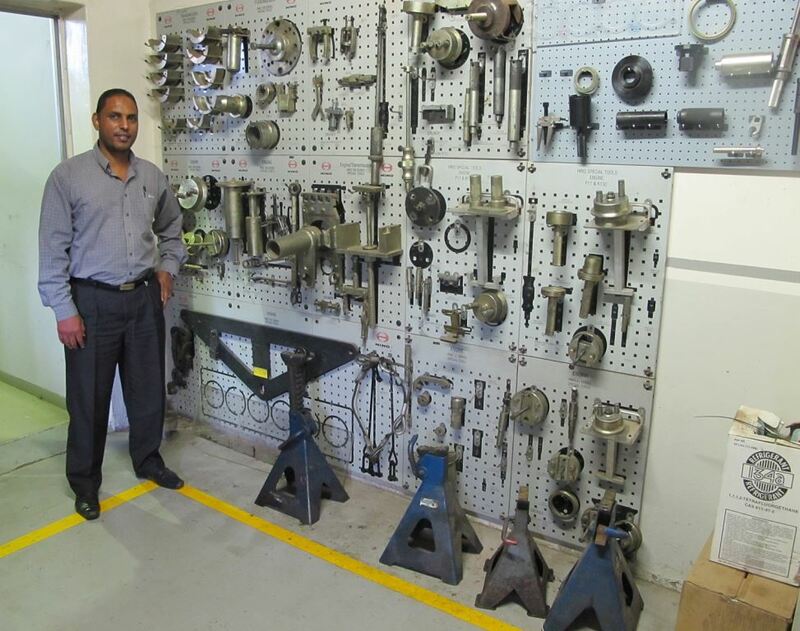 Pretesh Singh, dealer principal of Hino Pietermaritzburg, shows the wide array of special tools that have been purchased to ensure top level service at his dealership. 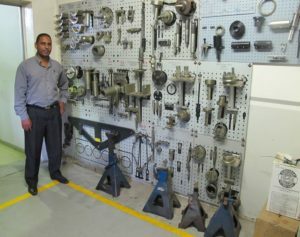 The success of this business in Pietermaritzburg is based largely on parts and service with 100% of absorption coming from service. The success of this business in Pietermaritzburg is based largely on parts and service with 100% of absorption coming from service. This means that providing top flight service with an excellent parts supply are vital, as is customer retention in a very competitive market. Some of Hino Pietermaritzburg’s customers have been dealing with this company for up to 20 years – which proves the maxim that trucking is about relationship not transactions. Singh does all this with a comparatively lean staff of 21 people, many of whom have been with the company for a decade or more. He says internal promotions are a key to continuity. Hino Pietermaritzburg is a long-established Hino truck dealership, having originally been a Dan Perkins outlet. The current facility is located on a large piece of land, so on-site parking for servicing or new truck storage is not a problem. A satellite service workshop has been established to look after the G4 fleet of Hino trucks operating in the Pietermaritzburg area.